Progressive rock group Crack the Sky was formed in the Ohio River Valley region in 1975 by frontman John Palumbo, guitarists Jim Griffiths and Rick Witkowski, bassist Joe Macre, and drummer Joey D'Amico. According to the website at www.crackthesky.com, the band was originally dubbed ArcAngel, building a loyal following on the Cleveland and Baltimore club circuits before signing to the Lifesong label to issue their self-titled debut LP, which earned critical acclaim for Palumbo's acerbic lyrics and the songs' complex structures and time changes. Commercial reward was minimal, however, and after completing Crack the Sky's second LP, 1976's Animal Notes, Palumbo exited to pursue a solo career. D'Amico assumed lead vocal duties on 1978's Safety in Numbers, with singer Gary Lee Chappell featured on the Live Sky release. Crack the Sky then disbanded, but in 1980 Palumbo, Witkowski, and keyboardist Vince DePaul briefly reformed the group to record the White Music album before again dissolving. Palumbo then formed another new lineup for a series of albums including Photoflamingo, World in Motion I, and Raw before reuniting with Witkowski, D'Amico, and DePaul for a series of 1986 live dates at the Baltimore club Hammerjacks and eventually a new 1989 studio LP, From the Greenhouse. Dog City followed in 1990, and Crack the Sky infrequently reunited throughout the decade to come. 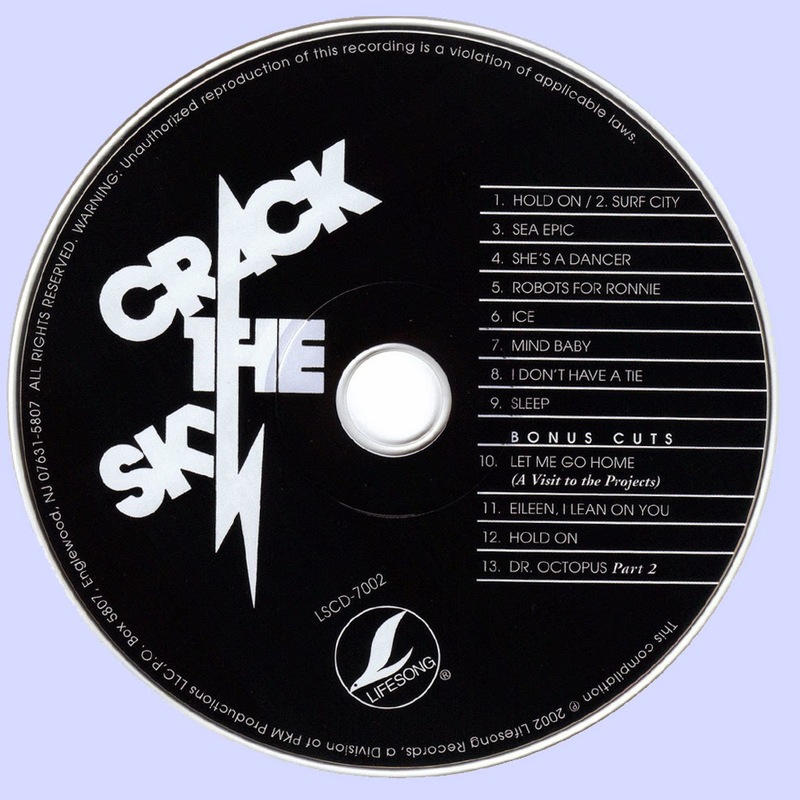 The astonishing success of Crack the Sky's eponymous first album raised expectations that the band was never able to fulfill for the rest of their career. Critics and audiences alike delighted in the wry, intelligent lyrics, complex and powerful progressive rock, and carefully crafted harmonies. Radio programmers were more ambivalent. Songs like "Ice," "She's a Dancer," and "Surf City" all got nationwide airplay, though none actually became a real hit. All of them deserved more attention, but the label never focused their promotional efforts on any one of them, and as a result there was no hit single. (Shades of Moby Grape's first album.) 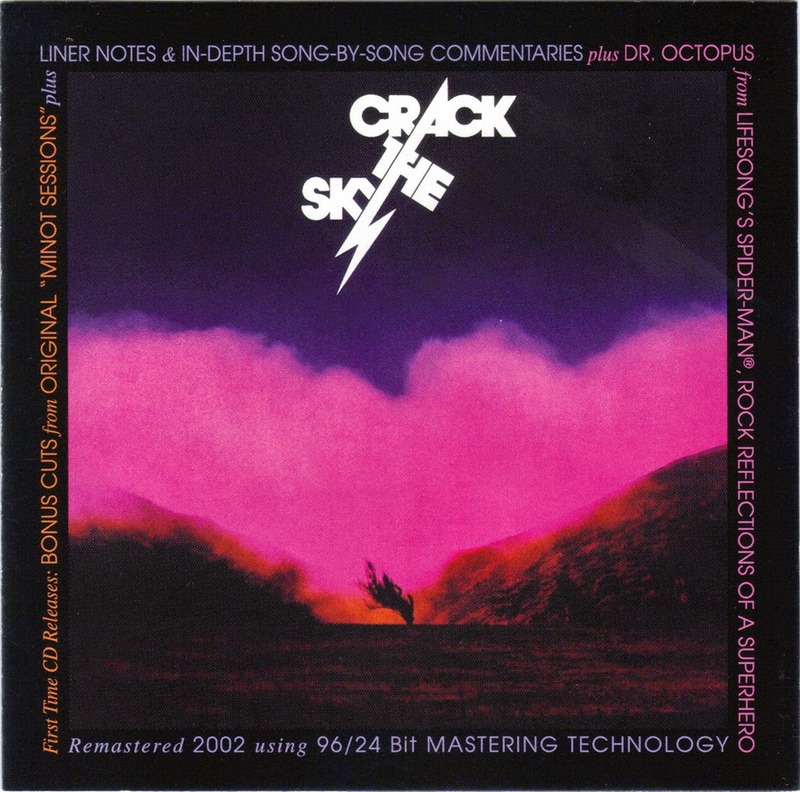 Rolling Stone's designation of Crack the Sky as "Album of the Year" for 1975 helped did as much as anything the record company did, and in retrospect their award was well-deserved. The album still holds up very well, especially the delirious "A Sea Epic," one of the rare examples of a driving and complex progressive rock song with a really good sense of humor. Three years and two albums later, when Crack the Sky did a live album, most of the songs were from this album. They obviously knew where their best material was and played to their strengths. Highly recommended.